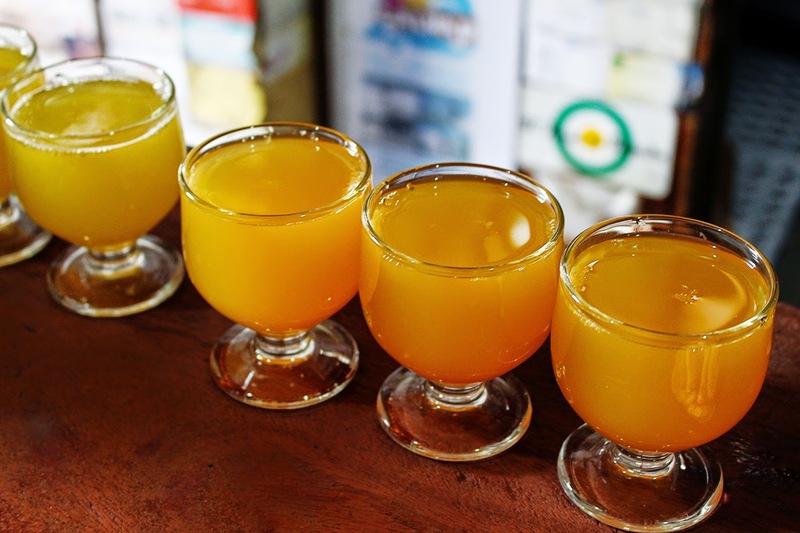 Madeiran Punch, or Poncha, is one of the most famous and traditional alcoholic drinks from Madeira. It is made with Aguardente (sugar cane brandy), honey, sugar, and lemon juice. It is most typically mixed together with a mixing tool called a mexelhote, also known as a caralhinho. The Madeiran Poncha inspired the creation of the famous Brazilian caipirinha. Easy to make and perfect to enjoy during the summer months. 1) In a pitcher, using a whisk, mix the honey and the lemon juice very well until it achieves a smooth and even consistency. The honey must be thoroughly dissolved in the lemon juice. 2) Pour the brandy into the pitcher while stirring continuously. 3) Pour the mixture into serving glasses. Serve.